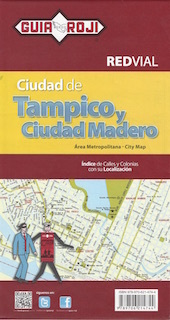 Detailed street map of Tampico and Ciudad Madero. Scale 1:20,000. Eastern Tamaulipas State at 1:1,200,000 on reverse. Includes an inset of Tampico Centro.